What better way to celebrate some galtime with your best friend than with matching antique-style jewelry. 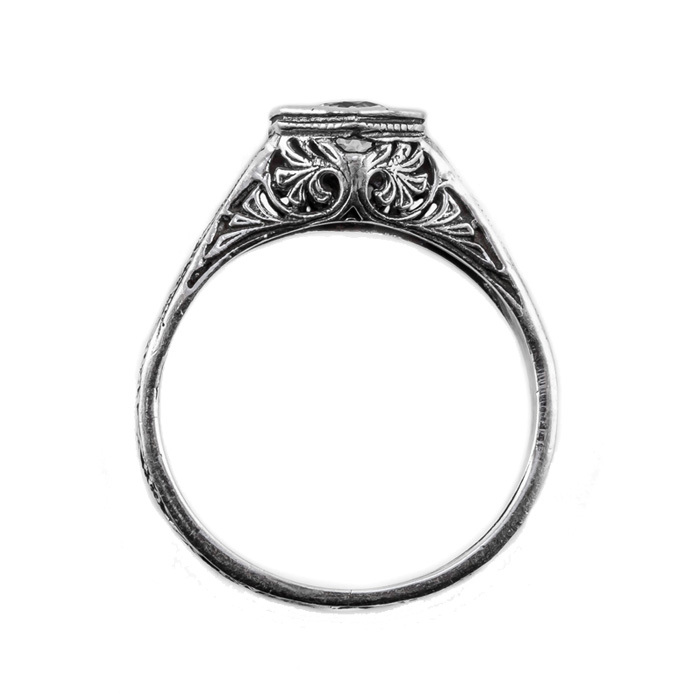 With a floral and ribbon design, this ring will let your girlfriends know how much you appreciate them in your life. The aquamarine gemstone gleams with personalized touches created especially for you by the expert designers of Apples of Gold. 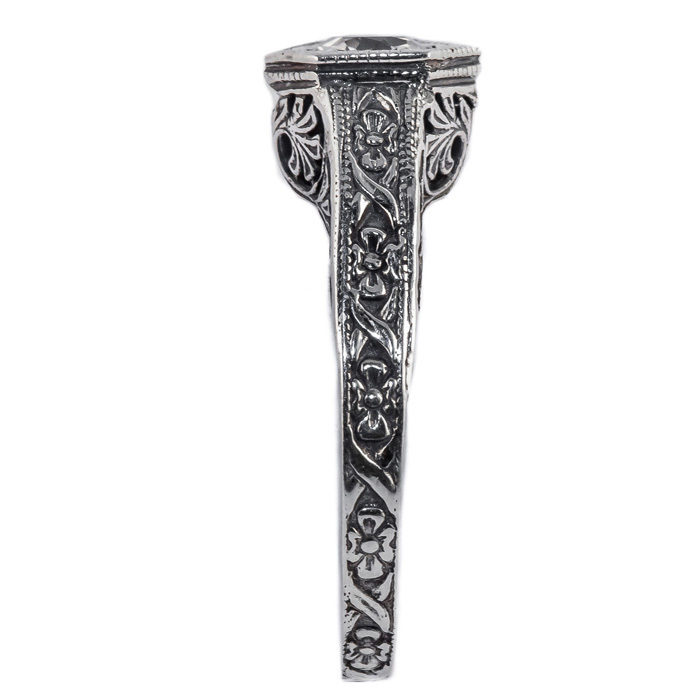 Set in an incredible 14K white gold band and measuring 4.5mm, this lovely piece of jewelry will stand the test of time, just like the love you have for your friends. Ready to ship today, this priceless piece of affection could be on your hand tomorrow. 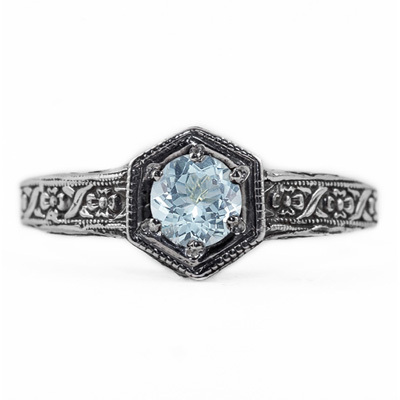 We guarantee our Floral Ribbon Design Vintage Style Aquamarine Ring in 14K White Gold to be high quality, authentic jewelry, as described above.